This 72″ beer dispenser from PURE is the perfect kegerator for any busy bar! 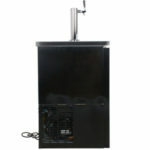 Today’s bar patrons demand variety, and that’s why this beer dispenser comes with two tap-towers, with two taps each. 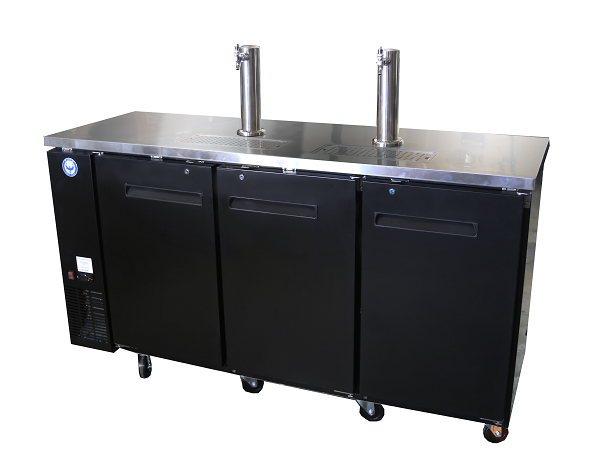 Four keg-couplers ensure that you’re able to provide your customers with good selection, and without paying for expensive upgrades options. 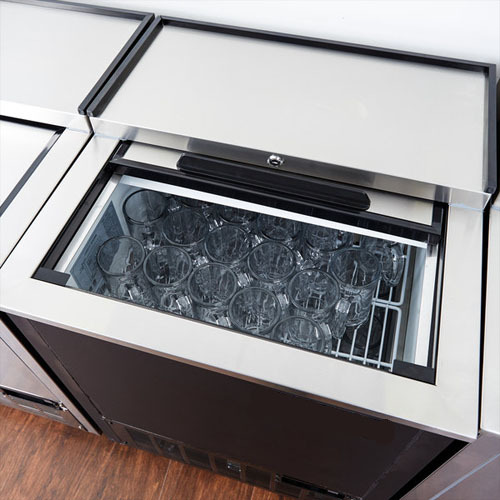 The roomy interior gives you space to keep up to 3 half kegs of beer or 12 60 packs ice-cold and ready. 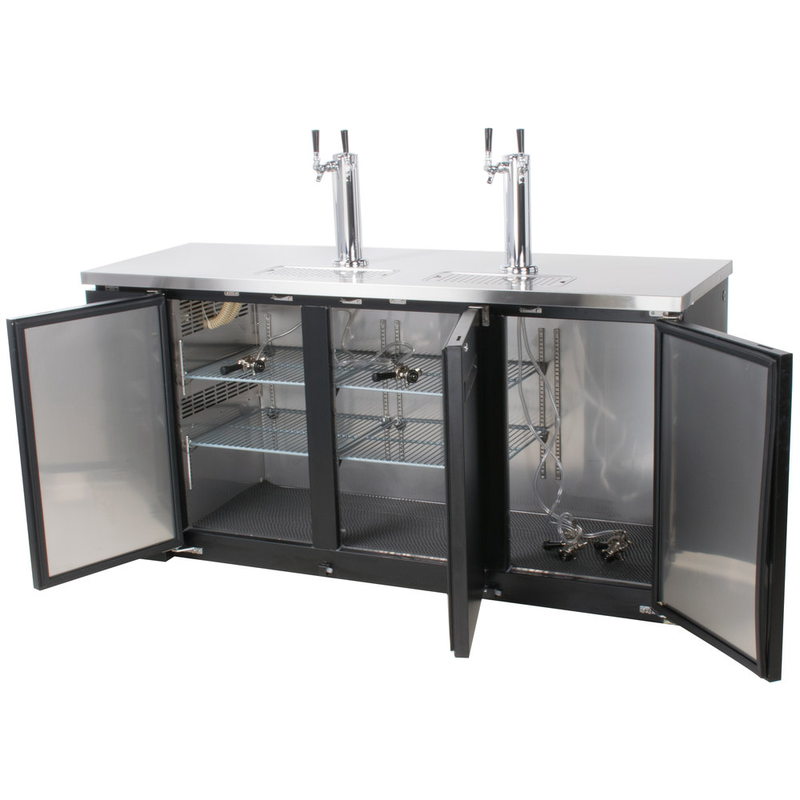 For added flexibility, this unit comes with 6 shelves. 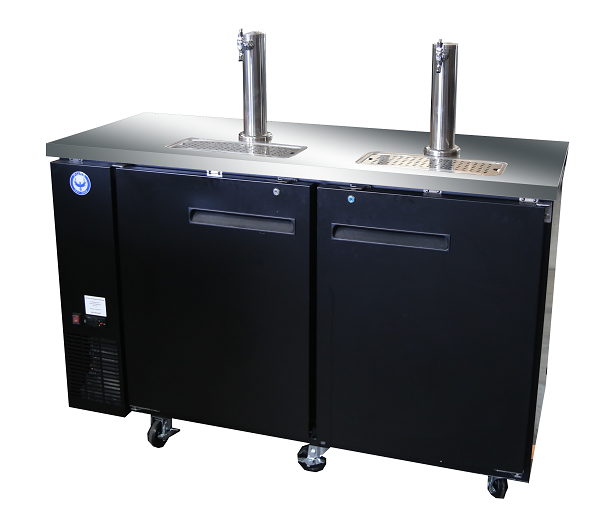 Now you can combine smaller kegs and still have room for 6 packs. 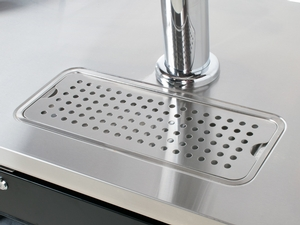 We’ve all seen kegerators with the rusted out bottoms. 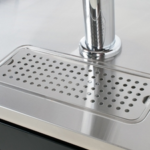 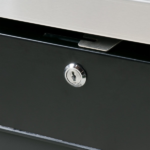 To make sure that this doesn’t happen to you, this unit has a stainless steel interior and comes with a heavy-duty rubber mat for additional protection from keg-damage. This protective matting can be quickly removed for easy cleaning. 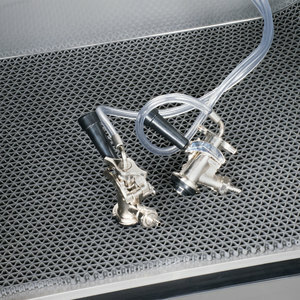 For external CO2 installation, there are 4 knock-out plugs to make installation a snap. 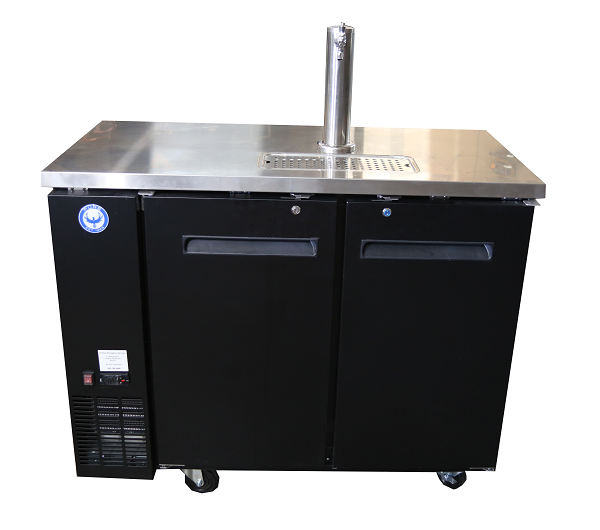 The front and sides of this 72-inch beer dispenser are coated with an attractive black finish, and a sleek stainless steel top, with includes drip-trays that make clean up a breeze. 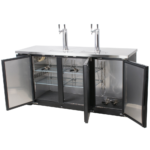 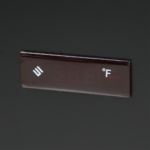 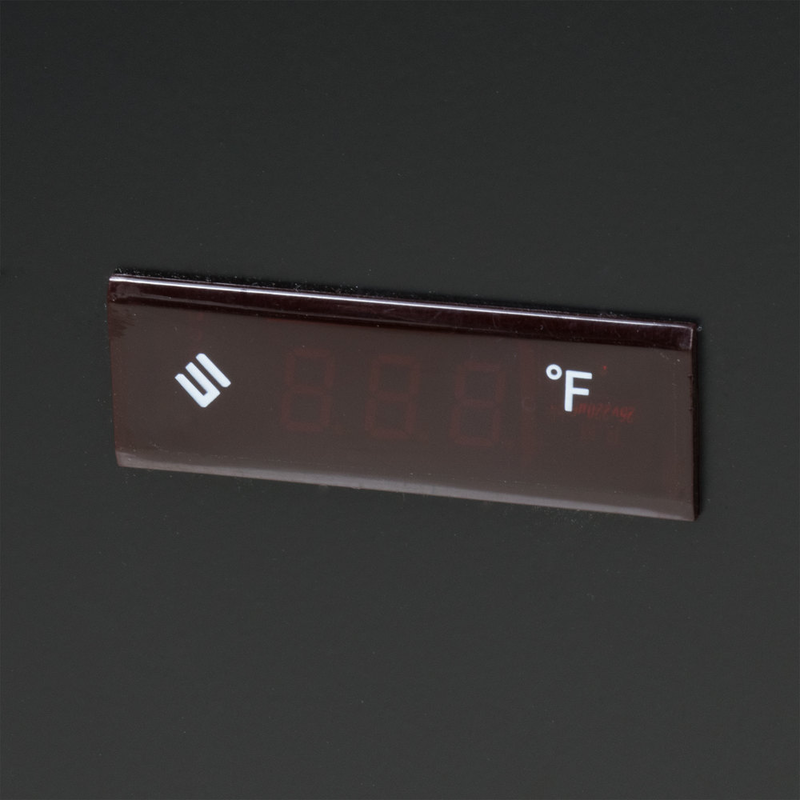 This unit can also be purchased in an all stainless steel finish. 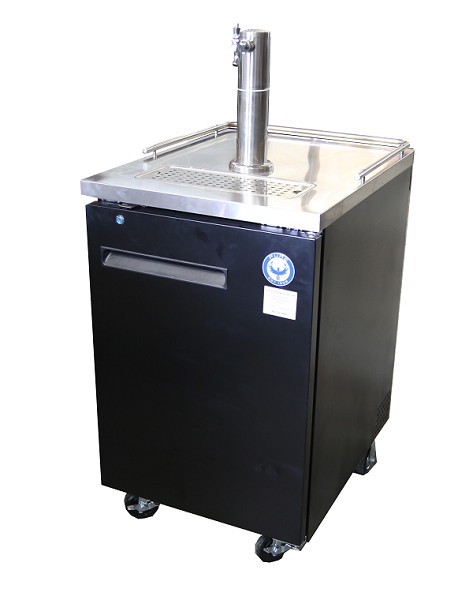 This 72″ draft beer dispenser is ETL listed and NSF approved. 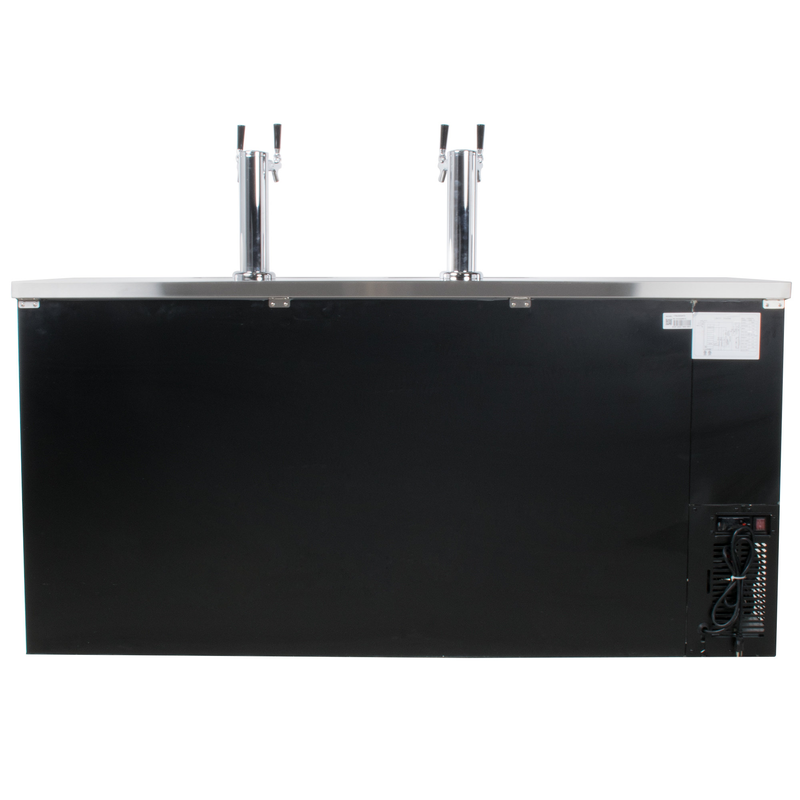 Be the first to review “PDD72 72″ Draft Beer Dispenser” Click here to cancel reply.